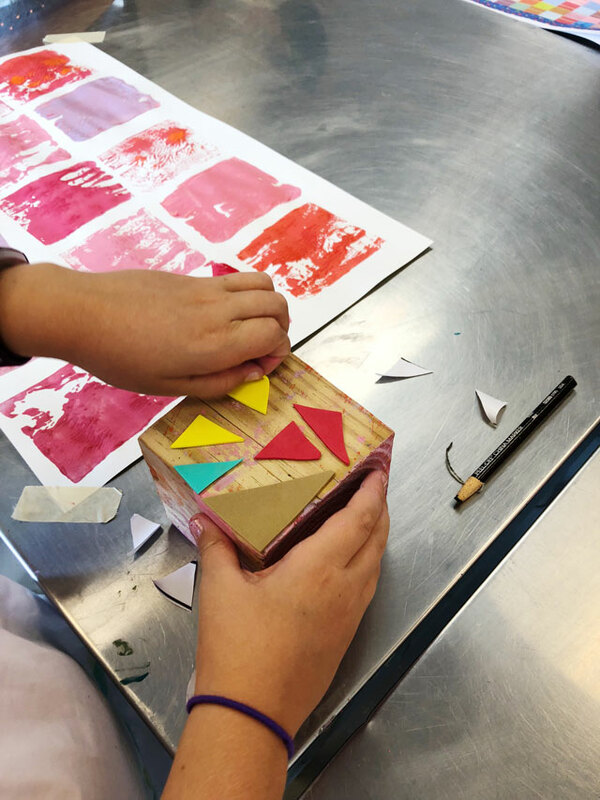 Collagraph Printmaking with Kids Using Wooden Blocks - Small Hand Big Art - Charlotte N.C. 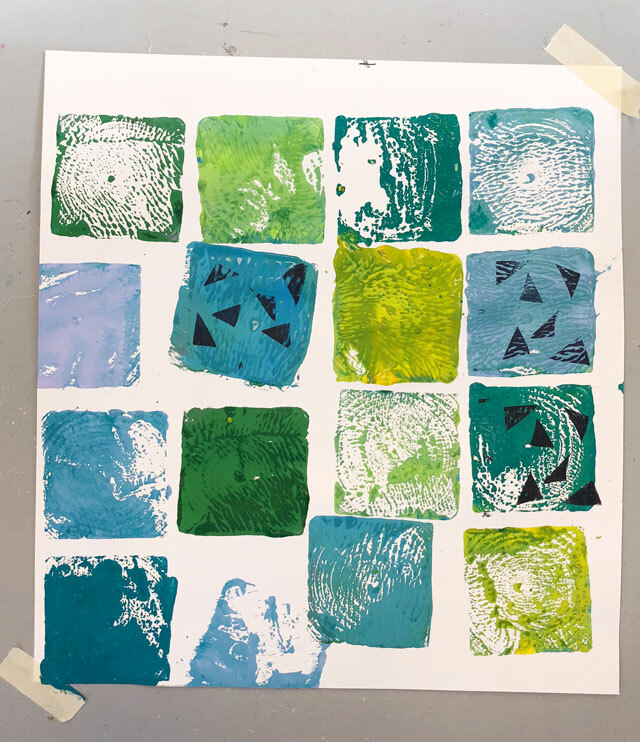 This collagraph printmaking project had all the makings of a the perfect art experience! 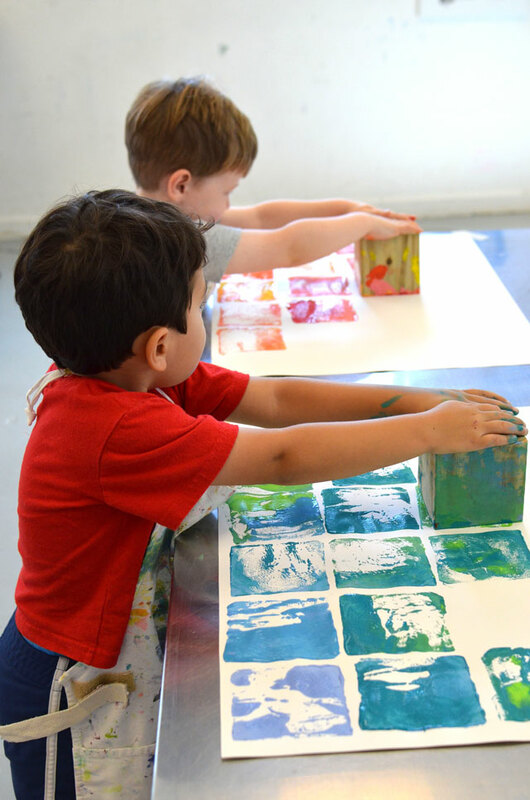 Big heavy blocks, movement, color theory, texture, & pattern! Not to mention the end result was totally frame-worthy! In fact, one student’s grandpa came flying in a few days later with one of these finished masterpieces. 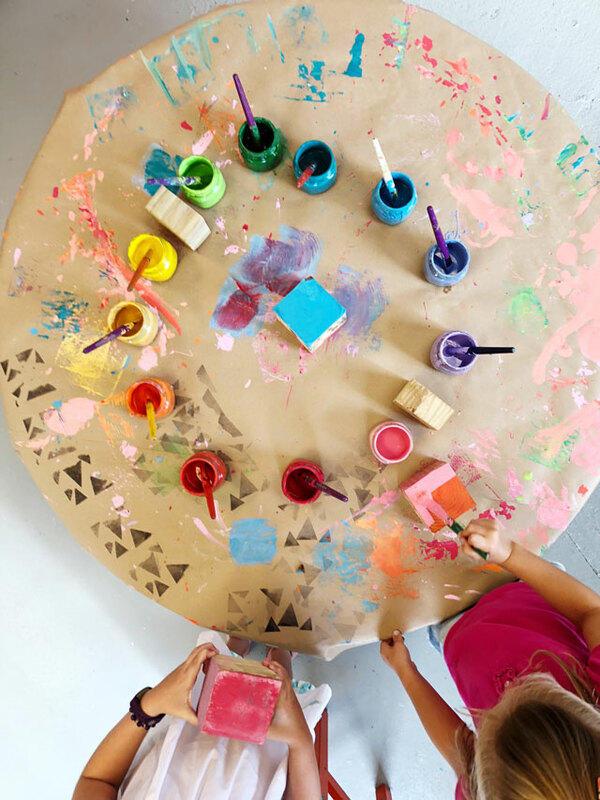 He was hoping we were both a children’s art studio and a frame shop! (Note to self: open a frame shop in the back of the studio!). 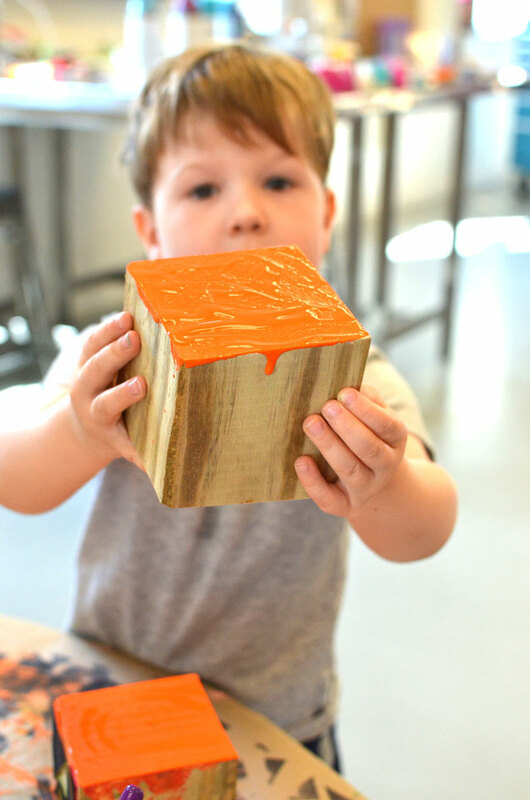 Our friend Bar Rucci from Art Bar Blog shared it on her blog (thanks Bar!) 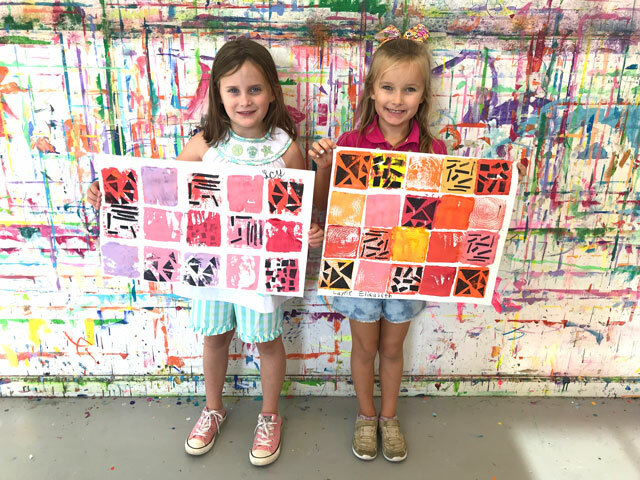 – go to her blog to read the full tutorial + lots of other great printmaking projects for kids!